Learn to prepare three classic Tuscan dishes with help from a professional chef during this half-day cooking class that includes dinner or lunch and regionally produced Chianti. 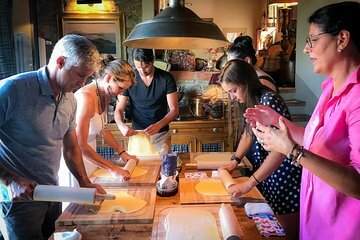 Using fresh, local ingredients and applying chef’s food preparation and cooking techniques, you’ll whip up three courses and learn about Italian cuisine. Afterward, sit down to a meal paired with wine and savor your hard work.